How has your week been? It was cool and rainy all day in Portland but as I write this, the sun is coming out and I’m feeling a sense of calm after spending the morning doing some serious cleaning and crossing a few important things off my list. Overall, this week has felt uneventful (except for that cliffside hotel on the Amalfi Coast Gala and I just booked for a trip later in the summer…haha) and I’ll take it! No news is good news, right? After a few solid days of Rocky not feeling well last week, it really put everything back into perspective for me. Those scares, though not fun to go through, really remind you of what matters most and get your priorities in check. Rocky is now doing much, much better and I am so relieved. Chubs is doing great, too. Have I mentioned that his new favorite food is sweet potatoes?! Anyway, things are good. Busier than I’d like on the work front, but awesome stuff is happening and progress is being made on both client work and digital courses. Gotta be thankful for that and just keep showing up every day. I hope you have some good times ahead, as well. 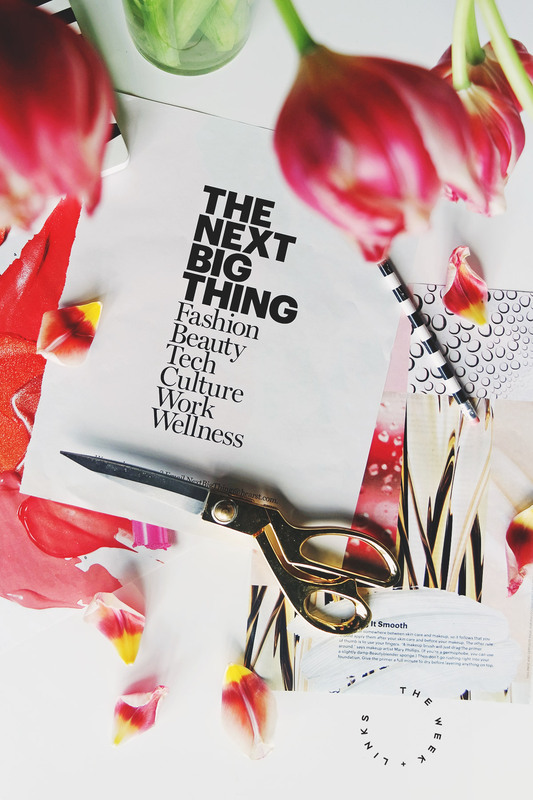 • If you’ve dreamed of running your own business but you’re not sure where to start, read Alex’s post about how she became a freelance writer and you’ll feel like what you want to do is totally possible, too. • I didn’t realize how much Prince trolled Michael Jackson. I love them both so I got a good laugh out of this. And, I had no idea Prince was originally recruited to be in the BAD video and turned it down! • Did you know that you can now live at Disney World year round?! You have to be rich to do it…but it’s possible. • Need some new podcasts in your life? Here are 8 new ones to check out! • Are your business failures really just a step in the right direction? • I love this article written by Amanda Peet about aging so much. So much truth! • There are 12 kinds of kindness. • Take a look back at Prince’s album art and learn more about the themes behind his most iconic covers. • The entrepreneurs’ 8 step checklist for taking a business risk. • I love this post about knowing who your audience is and having separate personal and business accounts. It’s exactly what I’ve been doing for the last 3 years! • Wow! Here’s a list of the most expensive domain names. 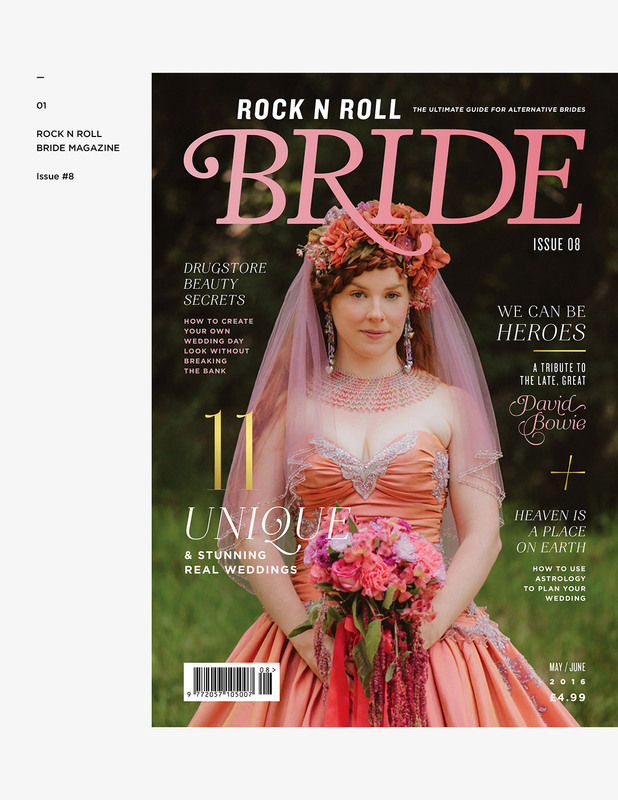 • The brand new issue of Rock n Roll Bride Magazine is now for sale (see above for a peek at our proofs!) It’s by far the biggest project my studio works on and I hope you’ll check it out! • Video footage from the first American shopping mall built in 1956. • Be very, very careful about buying knockoff chargers for your Apple products. The results of saving a few dollars are so not worth it. • I’ve never seen this clip until now…and it’s epic. Michael Jackson, Prince AND James Brown?! And yes, Prince rides up to the stage on the back of a large bearded man. For real. Hi, I’ve missed you guys a ton! It’s been a very, very full month around here with family, work, travel and everything in-between. When I’ve had some time to reflect, I start realizing how much I haven’t shared with you about what types of creative projects I’m working on on a daily basis, even though that’s what I spend the majority of my time doing. The last year in particular has been pretty much nonstop at Branch and I’m embarrassed to admit that some of the projects we finished last year (or even before that!) are still waiting to be shared. At this point, as soon as a project wraps, I deliver the assets, close it out and drop it into the Archive folder…only to discover I never shared it a few months down the road. Rinse and repeat…like 20 times. There’s a lot to catch up on and I know it’s now or never — but in the meantime, I wanted to give you a peek at some of them. I’m lucky to spend my days working with an amazing roster of clients who let me have a ton of freedom to create cool stuff for them. Instead of keeping everything hidden away, it’s time to share and give a bunch of them a shout-out! 0. Luke Copping Newsprint Promo (top): We took Luke’s super polished images and applied them to newsprint for a really cool, analog feel. I have a copy sitting in my office that I still need to share but you can check it out here. 1. Radical Self Love Coven Branding: This is the first (and only!) 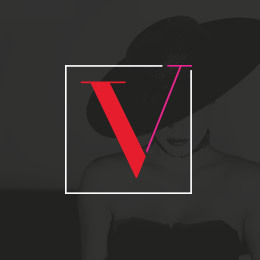 time I’ve gotten to create a logo with a witch hat. Thank Gala Darling for that one! The logo is for a course all about living a more magical life that you can check out here. 2. Places Soap Branding and Packaging: This has been a massive undertaking over the last 6 months as I created a new brand and packaging system for a travel-inspired soap brand. The packaging has gold foil accents and we just approved the print files yesterday — can’t wait to show you the full line as it rolls out to stores! 3. 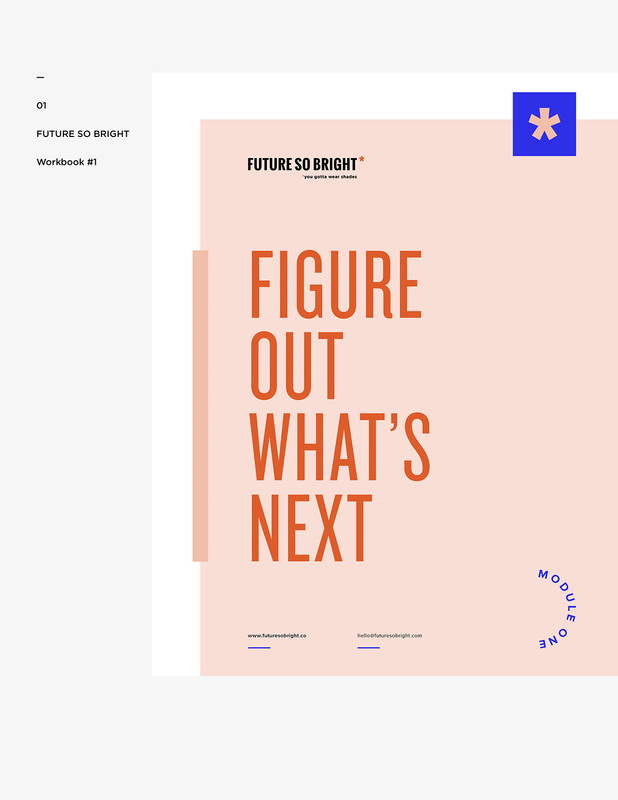 Future So Bright Course: I’ve been working with Ellen Fondiler and another partner to create a course that helps graphic designers land their dream job. I so wish this had existed when I was graduating college and unsure of what my career options were. Hope it instead helps you! 4. 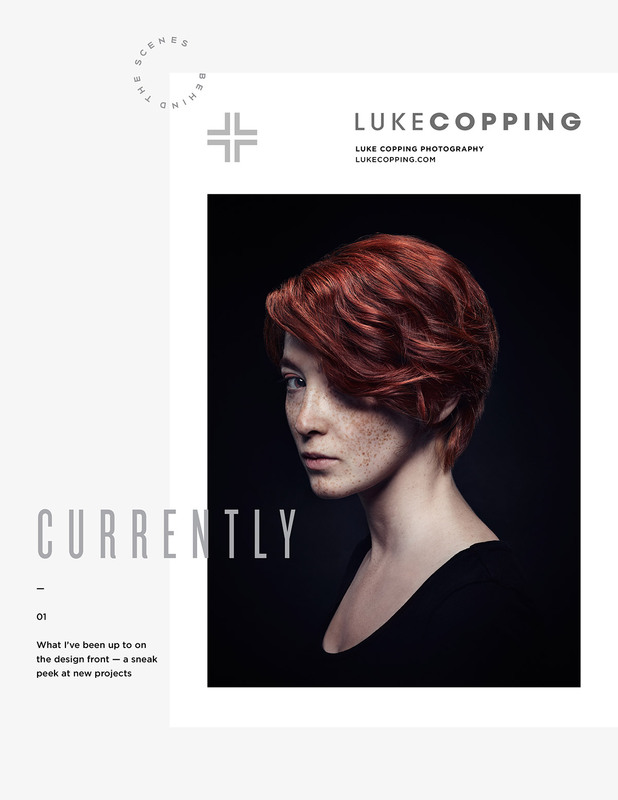 Luke Copping Guide: I’ve been working with photographer Luke Copping since 2009 and we’ve created some great stuff together. 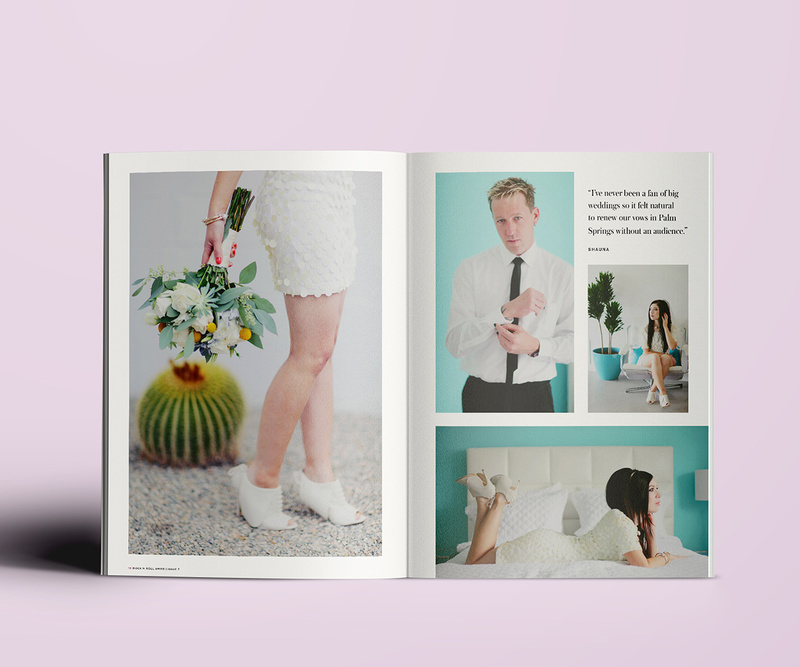 We just finished this digital Getting Started Guide which is a cross between a portfolio and media kit. 5. 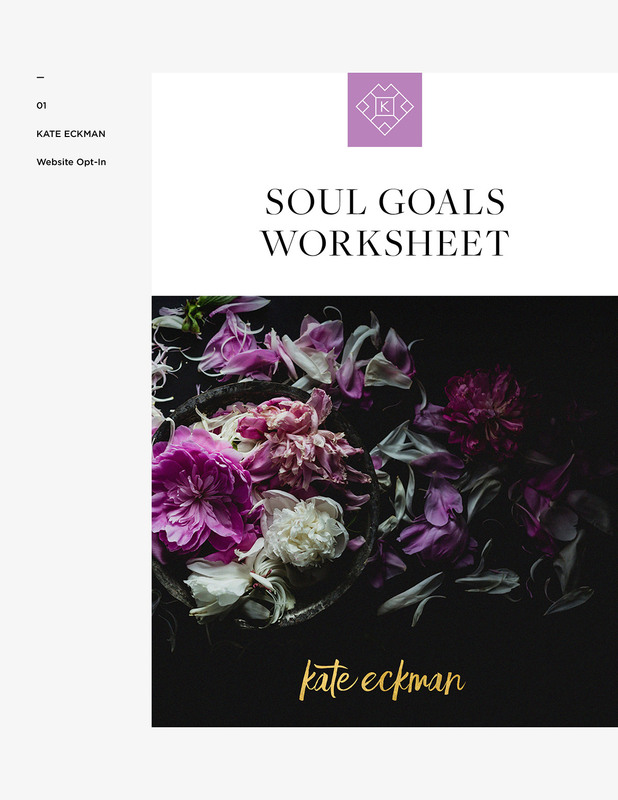 Kate Eckman Branding and Website: I met Kate last year at our final Blogcademy class and we had an immediate connection — she’s a well-known model and QVC beauty host but literally one of the most down-to-earth ladies I’ve ever met. Her new site and brand is launching next week! 6. SCSD Branding: I can’t say much about this brand yet because it’s still in-progress but it’s super fun with a female focus and a bold color scheme with tropical-inspired accents. 7. Project Prescription: You’ve probably heard me mention this business that I founded with Paul Jarvis and we’ve got some exciting things coming up! We’re relaunching next month with a revamped document bundle including A4 sizing and Google Docs. Sign up to our list for free document samples! 8. TBW Beauty Packaging: I can’t share much about this new line of products yet because it’s in-progress but it will feature perfume sprays made of natural floral essences. So pretty! 9. DQ Branding: This is one of my favorite branding outcomes of all-time but it’s still very much in progress so I can’t share much yet. 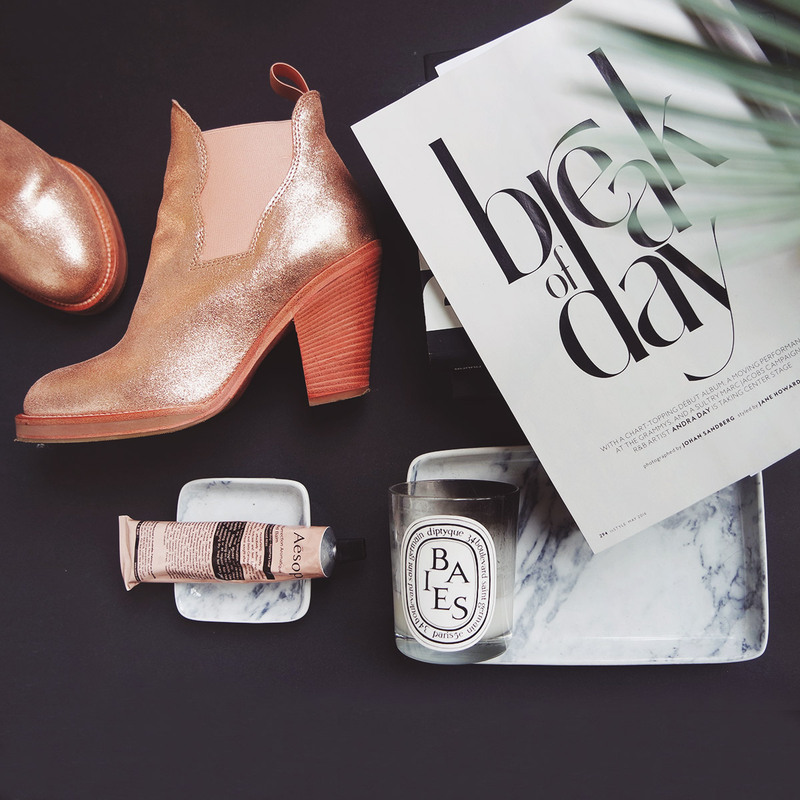 All I can say is that it involves an eye and rose gold. Yippee! 10. 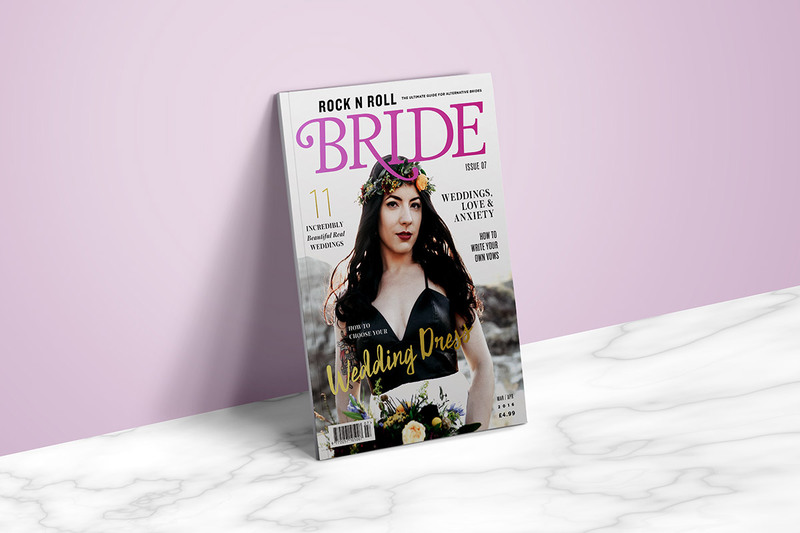 Rock n Roll Bride Magazine: We’ve been designing this alternative wedding magazine for a year now and the content just keeps getting better. 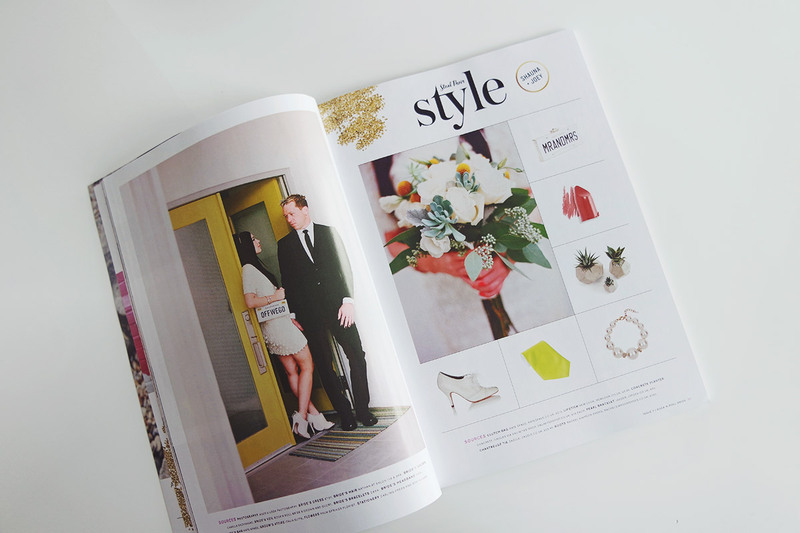 The new issue just went on sale and features an epic David Bowie bridal-inspired tribute and lots helpful of advice. Take a look! 11. Art Of V Course: This is a side project I’m working on with Erika Lyremark with the goal of teaching women how to be more creative and leverage more of who they are in their brands. It’s something I’ve always wanted to teach because at its core, branding should be relatable and understandable. 12. 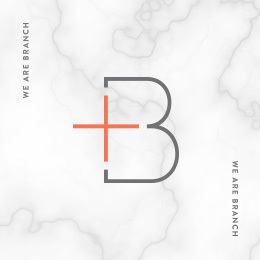 B Branding and Website: This is still in-progress and is a brand for a new Australian stationery company. We’ve wrapped the branding and print materials and are now hard at work on the website. More soon! 13. Mick Hayes Collateral: I’ve been working with musician Mick Hayes since last year and we’ve been building his brand out to create custom posters, business cards and now, his latest album packaging. It’s so fun to see a brand come together, piece by piece. 14. Bad Witch Workout Branding: This is another brand we recently created for Gala Darling. I’m obsessed! 15. Chutzpah Creative Website: This website has been a huge labor of love based on the branding we did for Chutzpah last year. It just launched last night. Check it out! 16. 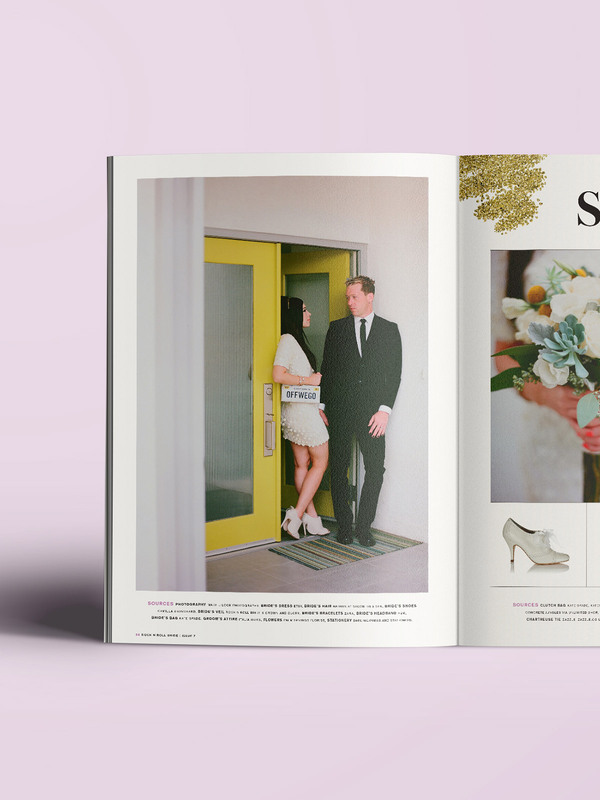 Rock n Roll Bride Magazine: With the redesign of the inside spreads, we also revamped the outside, matching the logo gradient to the bride’s dress and switching up the headline fonts. Grab a copy here! 17. Artifact Creative Recycle Branding and Website: Over the last year, we worked with Portland boutique Artifact to update their branding, signage, print materials and website. Loving the simplicity of this outcome! 18. 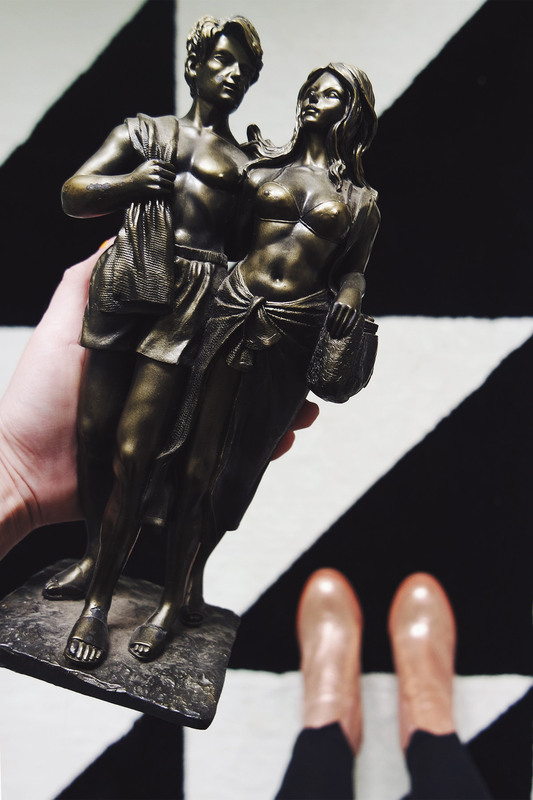 Gathered Home Branding: This soon-to-be interior design store will blow your mind. They have such a bold, beautiful aesthetic. There are two variations of this branding and a lot of colorful assets I’ll share soon. 19. Ellen Fondiler Branding and Website: Since Ellen’s brand, collateral and website launched, it’s been amazing to watch her grow as a career strategist. I love her no-nonsense advice so much that we’ve partnered up on Future so Bright (above). 20. 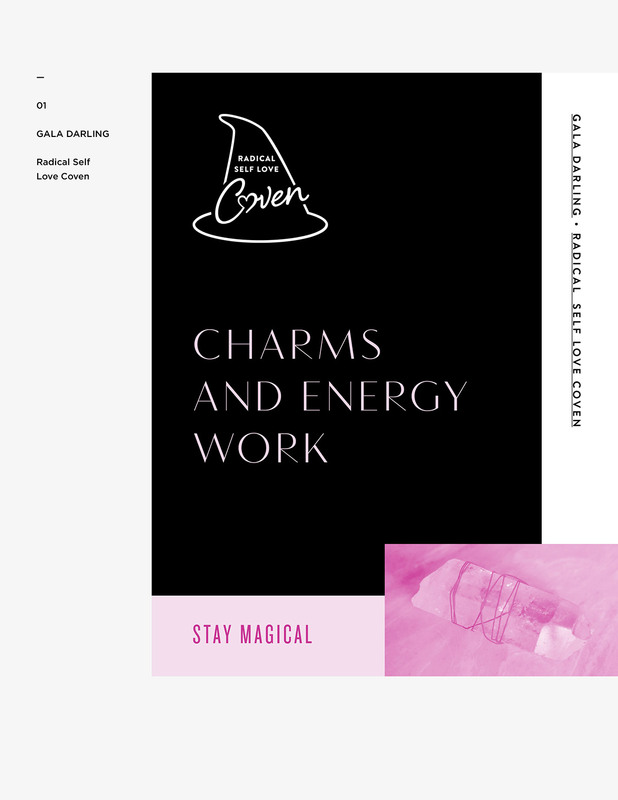 Radical Self Love Coven Workbook: Gala’s first module is going live soon so we just created this 40 page workbook to accompany it. I love the idea of making magic more modern and accessible and this is reflected in the design. 21. 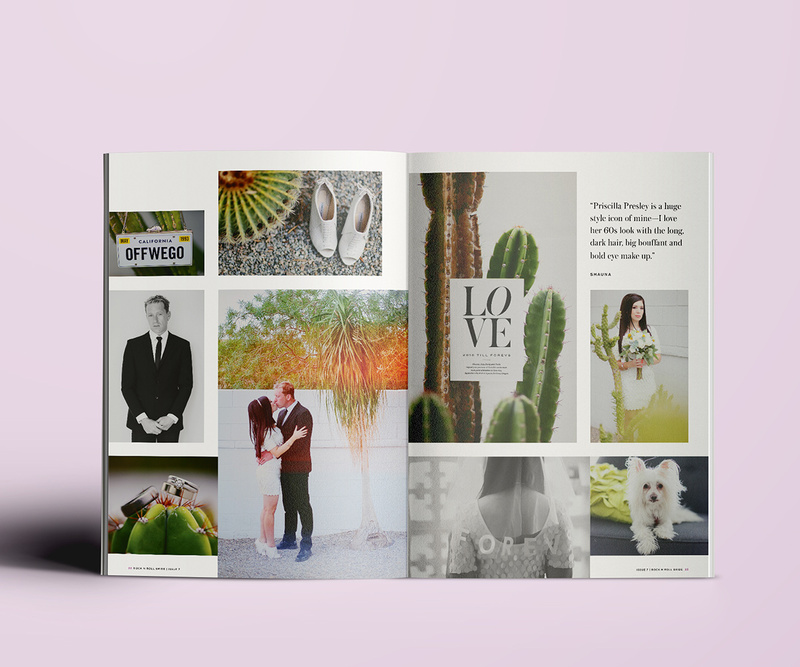 B Media Kit: This is a snippet from the media kit of the Australian stationery brand I mentioned above. As soon as the site launches, I’ll share everything! 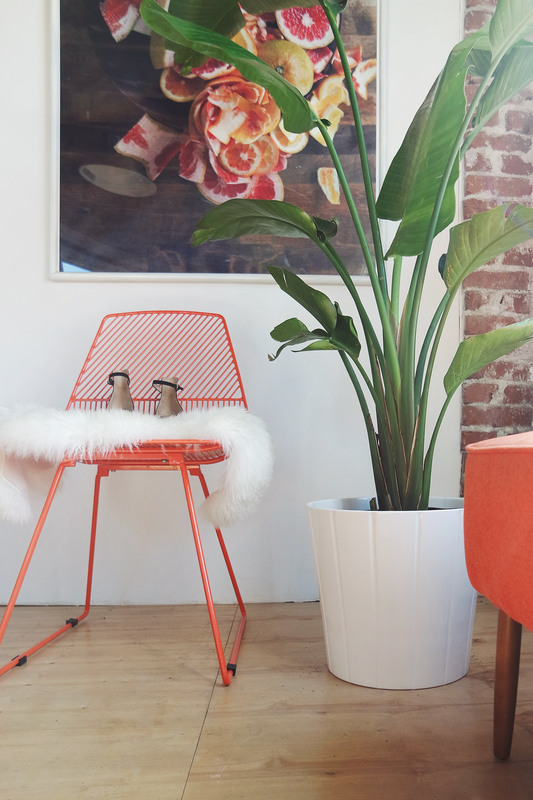 The color combo of green and peach paired with a concrete texture makes me excited! 22. 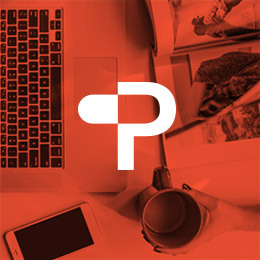 P2 Photography branding: I fell in love with Jenna and Jon of P2 as soon as I connected with them last year — this photography duo is incredibly talented and down to earth. We kept their brand very crisp and cool since they work with a lot of industrial clients. So there you have it! This is a super condensed version of what I’ve been up to on the creative work front and I hope to share more soon on many of these…and the dozen more I probably forgot. Ha! What are you excited to be working on these days? A personal project? Freelance work? What can really be said about this week? Prince died. I’m still in shock and can’t believe it actually happened. It’s so hard to watch the people we look up to, the people who fearlessly push creative boundaries no matter the consequences, leave this Earth. Without these larger than life personalities, the world feels so bland. And with each passing, it becomes clear that these creative visionaries are human and have ups and downs just like the rest of us — they need people surrounding them who care and can be good, trustworthy friends when times get tough. I don’t know much about Prince’s personal life since he shared so little but I hope he’s at peace. Thinking back to my one visit to Minneapolis in 2014, I got why he must have loved it so much there. The place was creative, fun and I’ll be honest, cruising on a Pontoon down Lake Minnetonka and visiting First Avenue were the two highlights of my trip. Joey grew up in Minneapolis and I would always laugh at his stories of skateboarding through the parking lot of Paisley Park like it was no big deal but now, I just feel so much sadness, like so many others. In other news, I’ve had to let go of all expectations of this week because Rocky has also not been feeling well. It’s hard to think of my puppy as being nine now because when I met him, he was a sprightly, excitable three year old. After spending half the day at the vet yesterday and some x-rays, we found out that he hurt his back so I’m on stay-at-home mom duty, typing this post from the floor of our living room next to him to make sure he stays still. Poor little guy. With Rocky not feeling well, all my project timelines got thrown out but luckily, everyone I work with is awesome and understanding. There’s no sugarcoating things — the last few weeks have been a total rollercoaster. That’s life sometimes and the reality is that not everything is a fun, exciting adventure to be shared on Instagram. Photos, from top to bottom: 1. 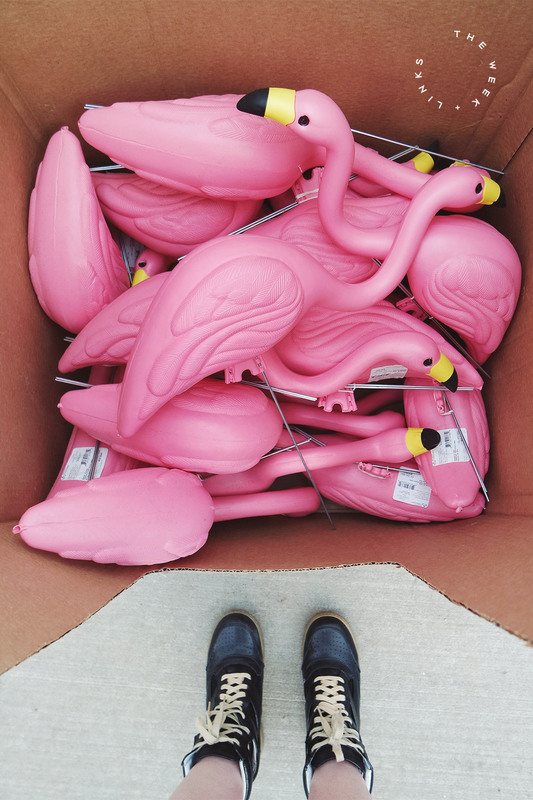 Lowe’s has flamingos! 2. Loving my new office plant from IKEA. 3. 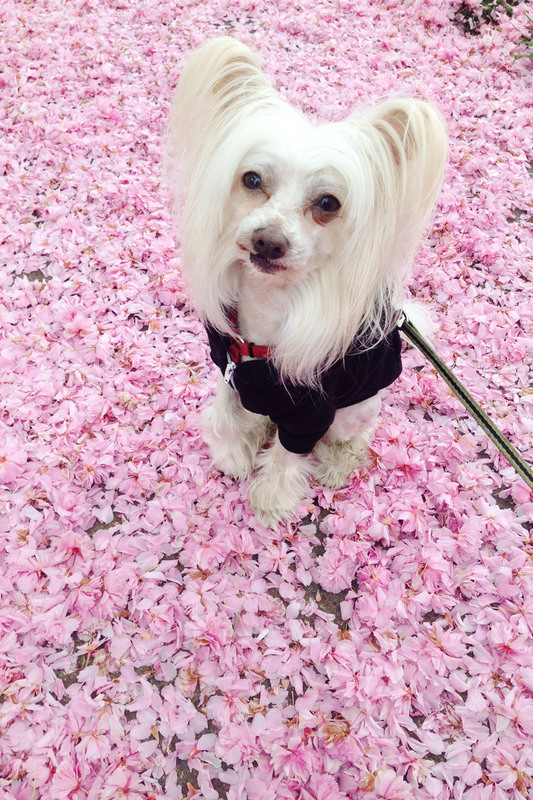 Rocky loves the cherry blossoms. 4. Weird statue alert! • Remembering 9 of Prince’s most over-the-top, princely moments. My favorite: In 2010, he said, “The internet’s completely over.” Haha! • Figuring out how much to charge as a freelancer can be tricky but this post breaks it down in easy-to-understand steps. • Times are changing! The Victoria’s Secret swimwear catalog and line will soon be gone. • How to rewire your thinking and kick fear in the face! • Prince, remembered in 11 songs you might not know he wrote. • Grabr allows you to get anything delivered on demand from anywhere in the world by a trusted traveler that’s heading in your direction. • Woah! Famous paintings recreated with washi tape. • How do you define becoming an adult? • Ha! #feelthekern merchandise is helping raise money for the Bernie Sanders campaign. Gotta appreciate the cleverness here! • I love seeing older women not giving into societal pressure and rocking their unique, bold style. So good! • Before taking on a project for free, ask yourself these 3 questions. Awhile back, I shared my vow renewal photos here which were taken in honor of my 5 year wedding anniversary with Joey. Back in 2010, after just 9 months of dating, we eloped to Vegas with my BFF Bianca without much of a game plan besides having a really good time — and I don’t regret a thing! Five years later, we’d fallen in love with Palm Springs and decided to have a little vacation in a rented mid-century modern house for a few days with Made U Look Photography shooting photos so we’d always have those memories. Those photos are now featured in the current issue of Rock n Roll Bride Magazine, which is on newsstands and in grocery stores across the UK. You can also order a copy directly from the website. 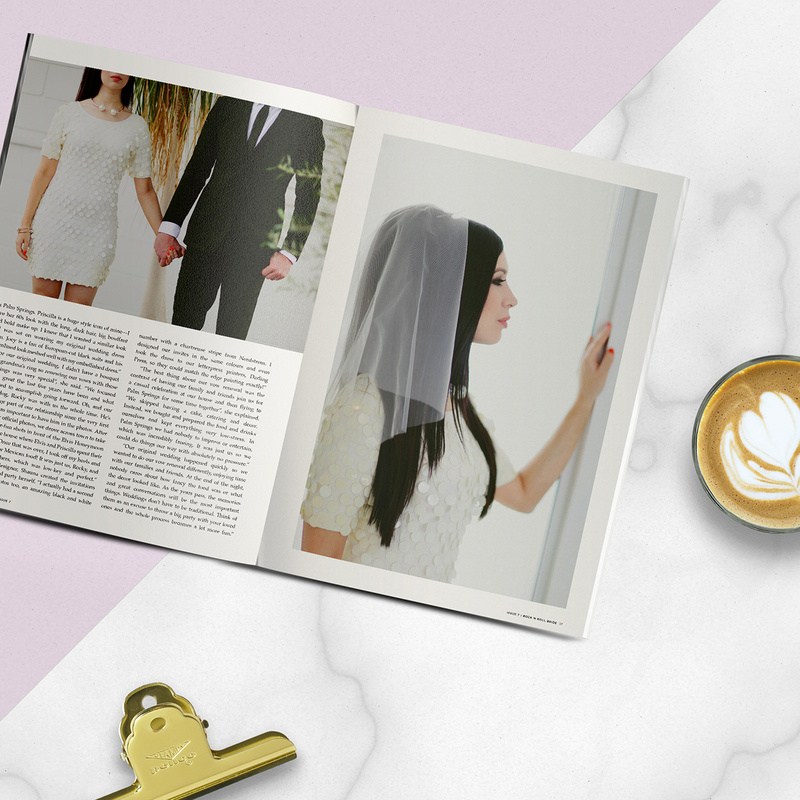 Rock n Roll Bride is a UK-based alternative wedding publication that’s ran by my friend, Kat and while designing a magazine has always been my dream career scenario, I never thought I’d end up featured in one! Being across the world from the magazine headquarters means that I don’t often see the current issue in print until it’s been out for a few weeks so having a stack show up on my doorstep a few days ago and being able to finally hand them out to family and friends has been completely surreal. Being featured while simply wearing my original wedding dress and hanging out with Joey and Rocky has been a highlight of this year. 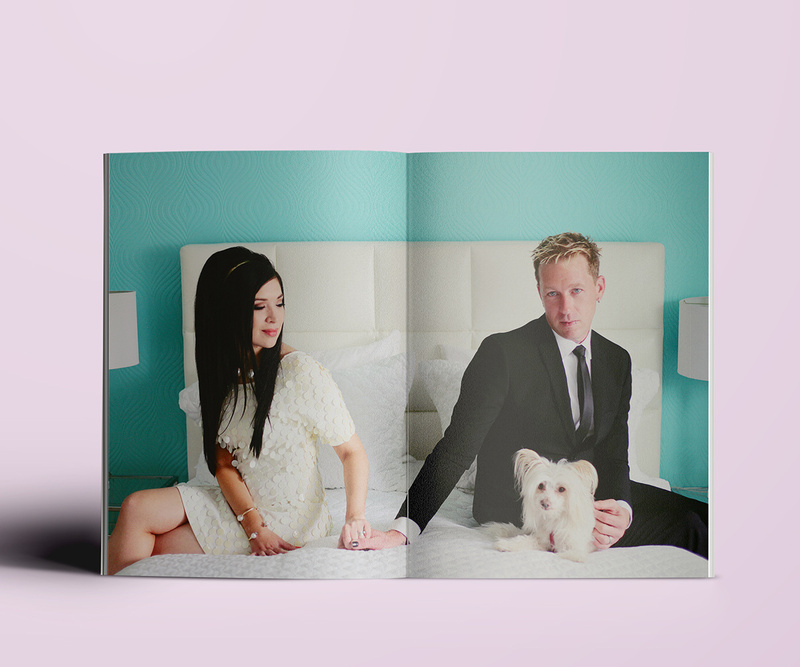 It’s refreshing to be a part of a magazine that lets couples shine as themselves with no outside styling or demands. I’m glad a place like this exists for brides-to-be to realize that what they want, even if it’s a DIY backyard wedding or an elopement is totally fair game. 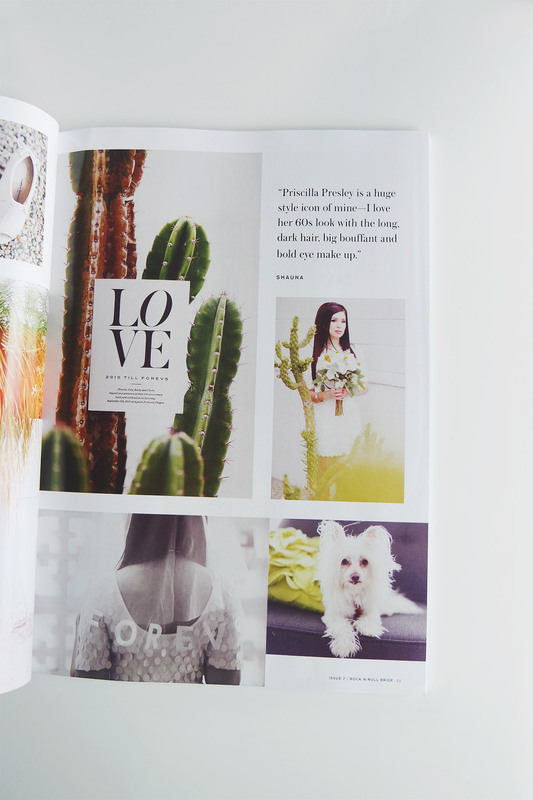 Check out more of issue 7 here! Happy Friday! How did your week go? I’ve been back in the office for over a week now and am only now just coming up for air. We have at least 5 branding jobs going at the moment and a ton of print work, not to mention a few websites in progress. Things are very full but good and a few days ago, I agreed to sign on for another year lease at our current space so it feels awesome to have some stability. The downside of this week is that my grandpa has been going between the hospital and a bunch of doctors’ appointments. He’s still not 100% so I’ve been on the phone a lot with my grandma. There’s never a “too busy” excuse when grandma calls. Just last night, we were on the phone an hour as I sat here in the office, laughing at ridiculous old family stories, talking about her class ring she can’t seem to find (my response: “Grandma, you graduated 67 years ago – of course you can’t find it!) and I’m hoping everything balances back out. Things are not perfect but good. And…good is good enough. I hope you have some fun weekend plans lined up. Blogging had to take a backseat this week with my grandpa’s health issues (family first, always!) but check back next week for the long-awaited Palm Springs travel guide. 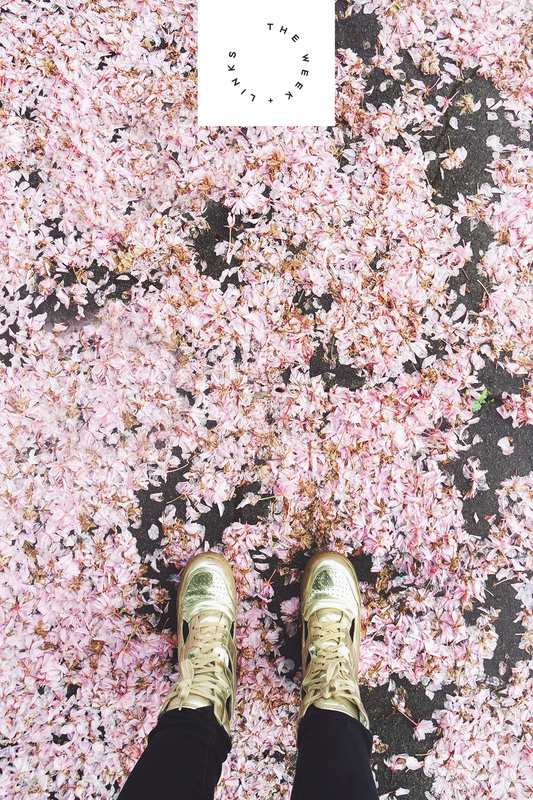 • Take small steps towards your dream job every single day so it feels less overwhelming. • Supermodel Karlie Kloss started her own coding camp, Kode With Klossy, to help girls learn web development. So cool! • I love this article all about paying attention. • The newest, weirdest meme going around combines chubby baby arms and loaves of bread. So weird. • I always love reading roundups of the apps and tools other freelancers use and this is a great list! • Instead of buying a yacht, this guy decided to send an entire kindergarten class to college. • IKEA has launched a bicycle! • Mysterious stacks of books are showing up around New York City. • Stay ahead of the curve by checking out the top jobs in 2025. 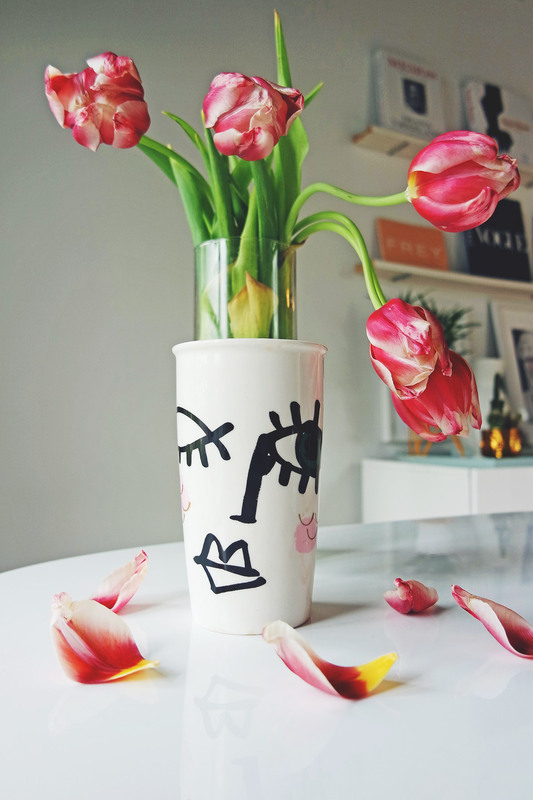 • 27 designers to follow on Instagram. • Three of the biggest brands in the 80s all used the same exact font! • That moment when you end up being a housewife on a tropical island isn’t as glamorous as it seems.